This event will be held at our Clement St. location. Keith Spencer discusses his new book A People's History of Silicon Valley. A PEOPLE'S HISTORY OF SILICON VALLEY follows the history of the people exploited, displaced, and made obsolete by the tech industry, from the colonization of the Bay Area to the present day. From the first Macintosh to the rise of social media, A PEOPLE'S HISTORY OF SILICON VALLEY peels back the curtain on an industry that brands itself as visionary yet which may be chipping away at the foundations of society, including our democratic institutions. Literary Nonfiction. 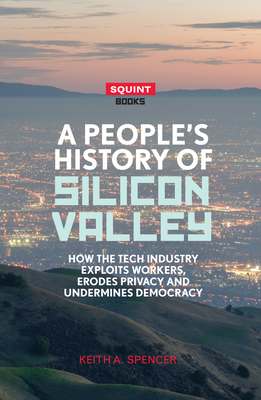 A PEOPLE'S HISTORY OF SILICON VALLEY follows the history of the people exploited, displaced, and made obsolete by the tech industry, from the colonization of the Bay Area to the present day.